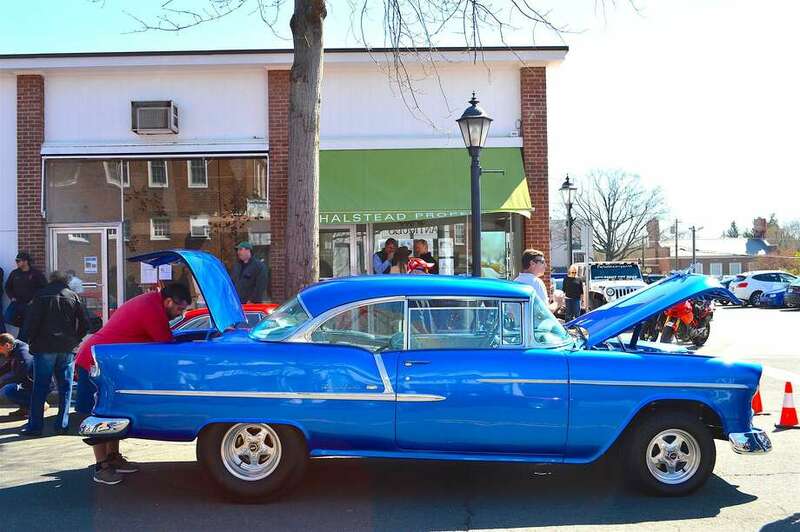 NEW CANAAN — It’s time to pump the brakes on Caffeine and Carburetors, according to the event’s founder Doug Zumbach. “I’m calling it a pit stop. I have personal projects and professional projects I want to pursue for this year. The time required to do everything is limited, so that’s why I’m putting it on hold,” said Zumbach, who created the event with the help of his friends Peter Bush and Todd Brown. Bush said the trio has decided to take a step back and reassess the future of the event, which drew large crowds in its five stagings in 2016, all of which — except for a June meetup at Lime Rock Park in Lakeville — took place in New Canaan. “In many ways, we feel like it’s a good time to step back because the show’s become so phenomenally big and so phenomenally successful that we needed to reassess how to go forward and make it greater for 2018,” Bush said. Zumbach began hosting the gatherings that would become Caffeine and Carburetors in 1995. It was an attempt to bring like-minded “gearheads” and fans of foreign sports cars together in New Canaan. Attendance began to grow and, in 2010, the large-scale meet-ups took place in town. The last Caffeine and Carburetors, at Waveny Park in October drew more than 1,300 visitors, the largest crowd in the event’s history. Zumbach called it “a perfect show,” and said the decision to press pause was not preempted by any pushback coming from the town. Though Bush said no applications have been filed with the town for 2017, smaller, more controlled gatherings of car enthusiasts are not completely off the table. “We may have a pop-up event, perhaps a tour, more in line with some of the things we used to do when it was just starting out. Something on a smaller, more unique scale. A boutique-type show,” Bush said. In any case, Bush called the rest a “pit stop,” and said he expected a return of sorts before long. “We’re not going to turn our backs on thousands and thousands of people, the town of New Canaan, the sponsors and the like. But we thought it was a good time to reassess and retool,” Bush said. Zumbach, however, is not making any promises.